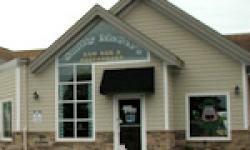 Bayville Shopping Center in Fenwick Island, Selbyville, Delaware offers a wonderful Shopping experience with excellent retail and dining opportunities. There's the Bayville Package store for all your beer, wine and spirits, lottery and powerball, and the Rooster's Nest has beautiful French country furniture, gifts and home accessories. Stop at the Country Side Cafe for homestyle cooking and the best breafast's around or the Bayville Bakery for delicious cakes, pies, breads, pastries, custom cakes, donuts, cupcakes, cookies, coffee, bagels and more. 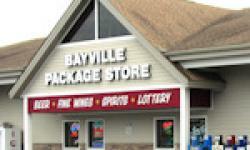 Bayville Shopping Center also has the Family Cut and Curl hairdressers and they do facial waxing, and the Postal services cover all your postal and mail needs. The Smitty McGee's Raw Bar, Restaurant and Saloon has happy hour daily, a live DJ every Wednesday and Friday night, and a full raw bar, overstuffed sandwiches and a children's menu plus there's boat dockage, and Ken's Bayside Pizza and Subs here also do ice cream, and they deliver.